A dynamic and responsive approach to ecommerce fulfilment has not only allowed Coopers Brewery to grow online sales of beer home-brewing kits, it’s also opened up a wealth of insight and capability cementing customer loyalty. Speaking at the Magento Live conference in Sydney, the beer company’s ecommerce manager, Abby Richardson, took attendees through her experiences launching and optimising an ecommerce offering for Coopers DYI home brew kits, and the rather surprising ways shipping has driven customer understanding and engagement. In fact, as Richardson pointed out, one in three modern shoppers have abandoned a purchase online due to inconvenient shipping choices. The iconic South Australian brand has been operating since 1862 and is now the largest exporter of home brewing products nationally, retaining 85 per cent marketshare with 50 product lines. Each kits represents 10kg of product on average, supported by a range of consumables such as brewing extracts, enhancers and brewing sugars. A key element of Coopers’ ecommerce approach is a customer loyalty program, which offers members a 10 per cent discount year-round when purchasing online. As a result, 92 per cent of orders are checked out by members today. Such a wealth of data has allowed the brand to build out three core customer personas, based on content of orders received, which it is increasingly using in email marketing and engagement, Richardson said. The first is consumers who consistently and frequently brew the same beer all year-round; while the second cohort represents those consistently and frequently brewing but trying a variety of ingredients and who are more likely to be guided by the brand’s recommendations based on season. 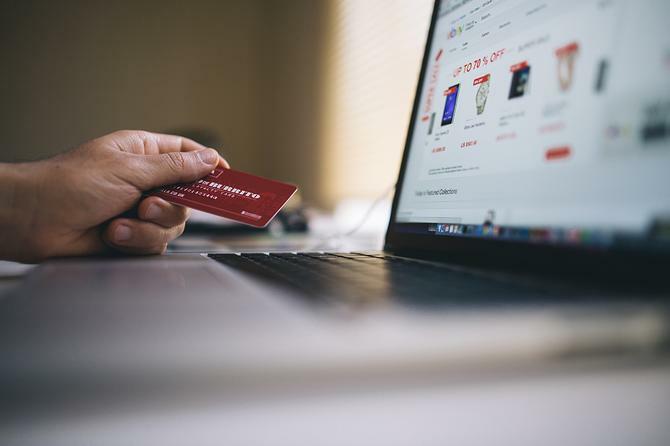 The third category is irregular and erratic purchasers often only brewing during holiday seasons and buying both from the online store as well as from physical retailers. It’s this latter category where email marketing plays a particular role returning customers to the online store, Richardson said. To help, Coopers Brewery rolled out Dotdigital’s email marketing platform about 18 months ago. The brand is looking to increasingly personalise communications across all three segments by factoring in product choices and preferences. “This [login process] has provided us with the ability to get to know returning customers very well, and such a high returning rate means we can analyse who they are,” Richardson said. “For example, we have learned 74 per cent are returning customers who live on the east coast. These states have a larger population but also more experience and the perfect brewing temperatures all year around. Alongside the insights, shipping experiences have played a big role in building loyalty. From a back-end technology perspective, Coopers built its ecommerce offering on the Cartridge platform in 2011, transitioning to Magento 1 a year later. In 2014, the company acquired a distribution presence in Queensland and began undertaken DIY beer kit fulfilment from the east coast. It also integrated its ecommerce platform with Temando’s automated shipping service. Having integrated technology enabled customer services staff in Adelaide and fulfillment staff in Brisbane a single interface to see customer status, if a label has been printed, or if an order is in transit, Richardson said. To then offer a differentiation point from physical retail stockists, Coopers opted for a flat $15 delivery fee nationally, a move which has helped increase basket size and guided customers to purchasing more, Richardson said. An ability to dynamically adjust shipping offers has helped build further loyalty. An example Richardson pointed to was when stockist, BigW, delisted its bottle and caps pack and brought in its own inferior version. Following an influx of calls from customers who mistakenly took the problem to be the beer products rather than the bottles, Coopers put in place free shipping on orders containing its own bottles and cap pack. The decision resulted in a 137 per cent rise in online sales of bottles and caps year-on-year. “What was initially seen as hugely detrimental and something that could result in a loss of sales and loyalty turned into an opportunity for us to convert those retail customers into purchasing direct from us online,” Richardson explained. “We were able to reinforce our product quality and converted traditional off-the-shelf customers to online store customers. This had the flow-on effect of full product range exposure as well as new Coopers Club members, which meant we could then communicate with them directly. In more recent years, Coopers has incentivised customers with free shipping on orders with a minimum of four products related to its craft beer DIY kits. The offer coincided with being featured as a ‘special buy’ in ALDI’s Father’s Day catalogue. This was done based on rules applied to the check-in cart, which automatically verifies if all products being purchased relate to the single craft series category then applies the discount accordingly. “This meant we could provide free shipping and also taught these new customers what that craft series entailed,” Richardson said. “We saw a significant increase in sales. On the flip side, turning off the rule in 2016 resulted in a 52 per cent decline in sales of the range. In May last year, Coopers migrated to Magento 2 and took the opportunity to improve the whole shopping experience ecosystem. This included rebranding the online store to align to other branded assets, the creation of a fresh recipe library, and features such as an ability to filter recipes by brew styles and characteristics, and one-click ingredients checkout. The new capabilities are not just increasing sales, but helping customers learn more about the brewing experience, another key to retaining loyalty, Richardson said. In addition, Coopers has modernised its community forum, giving 50,000 brewers new emojis and Gifs plus a single sign-on across the forum and online store for a seamless digital experience. The company also migrated to Magento Shipping, ensuring all unique shipping rules can be seamlessly integrated into the one interface, Richardson said. These include flat rate shipping, free shipping on selected SKUs every month, free shipping by category, within a selected category and also quantity minimum qualifiers. Next cab off the rank for Richardson is flash free shipping promotions that run for shorter timeframes but more frequently, rewarding customers. With automated packaging rules, Coopers has also been able to improve order fulfilment efficiencies. “By offering free shipping promotions ahead and to a schedule, our customers know they can get a deal. The club pricing makes them always feel special, and we can be flexible and reactive now with Magento Shipping. Can just add on another carrier or rule within the experience portal. It’s a flexible platform for us to be reactive in,” she said. “What we have done is strategise shipping services to maintain and strengthen customer loyalty. We’ve used these rules to be reactive to the retail landscape. And we have managed and clearly communicated our changes over time – with a few lessons along the way - to customers.